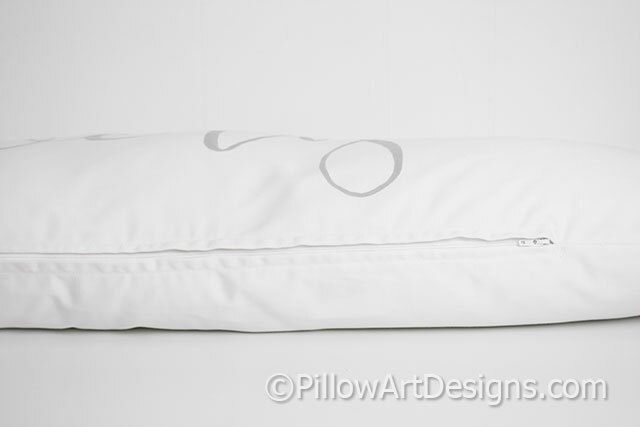 Wide lumbar pillow cover, made to fit insert measuring 12 X 36 (insert not included). 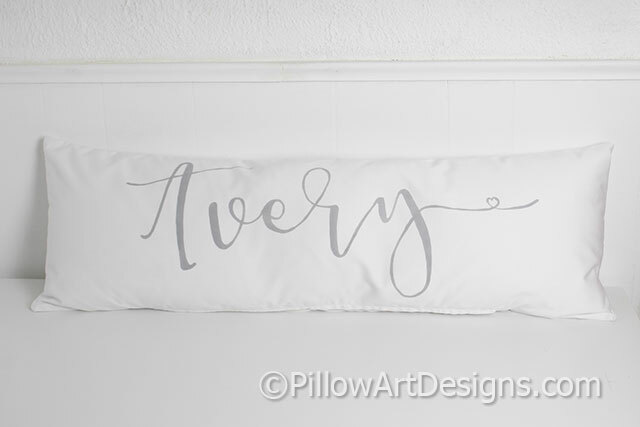 Name painted on front in calligraphy script, choice of black or grey paint (non toxic fabric paint), will not wash off, flake or rub off. 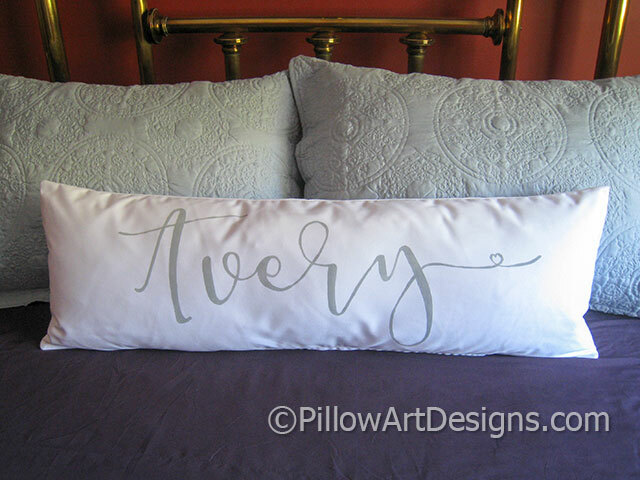 To order, purchase this listing and remember to send me the name for the front of the pillow.